I photographed the 77th annual 2018 Harvest of Harmony Parade which was my third time at this spectacular event. 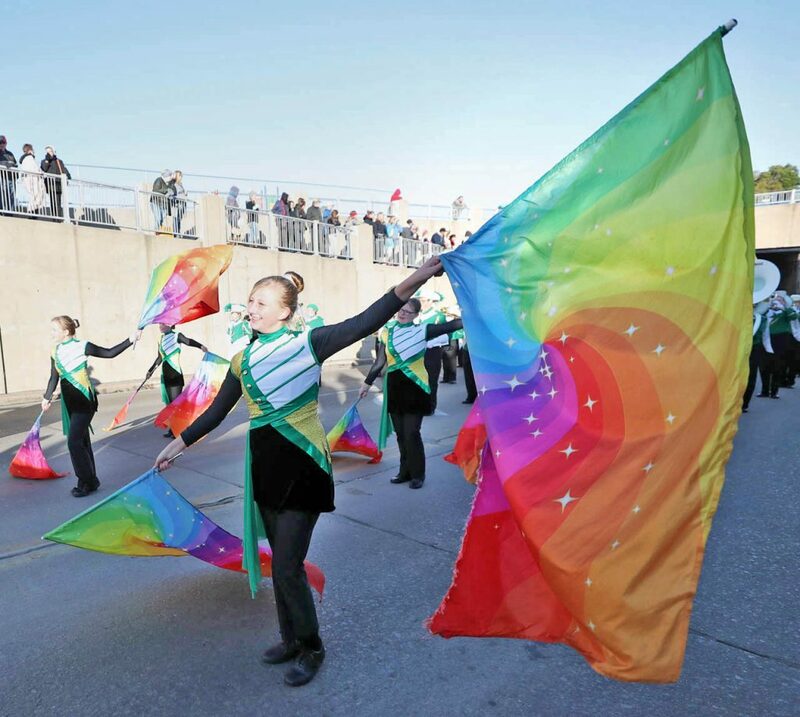 The parade had 220 entries featuring 105 high school marching bands, 87 float entries and 28 pageant contestants. The parade lasted nearly four hours. 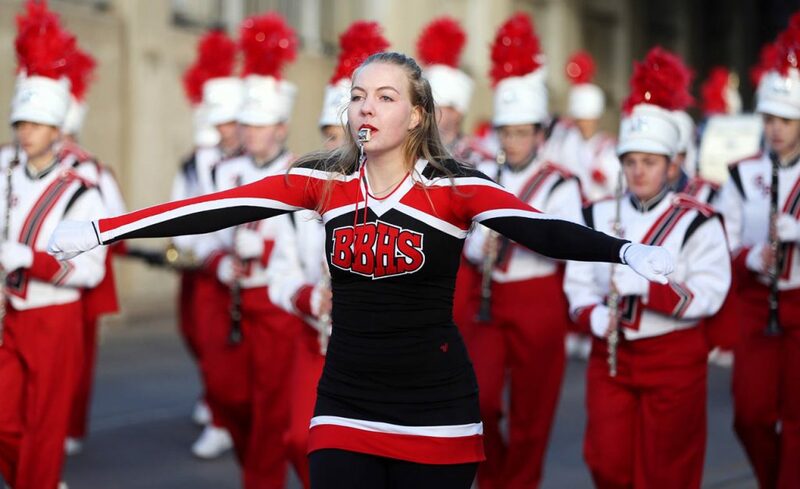 Makayla Stobbe, a Grand Island senior High School flag girl, performs while marching in the 2018 Harvest of Harmony Parade with her bandmates in downtown Grand Island. 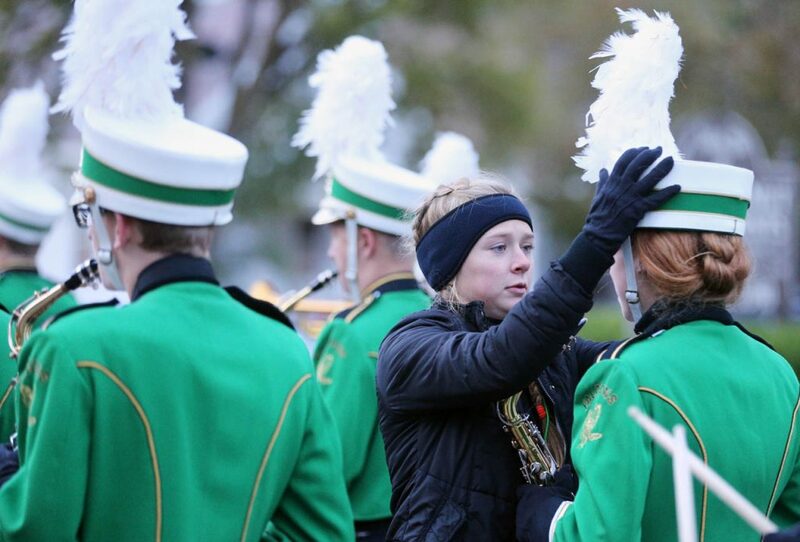 Amber Miller, a drum major with Elkhorn Valley Marching Band adjusts a bandmates hat while lining up during the 2018 Harvest of Harmony Parade. Gothenburg High School Marching Band members cross the intersection of W. 9th and N. Walnut Streets after offloading from a school bus during the 2018 Harvest of Harmony Parade. 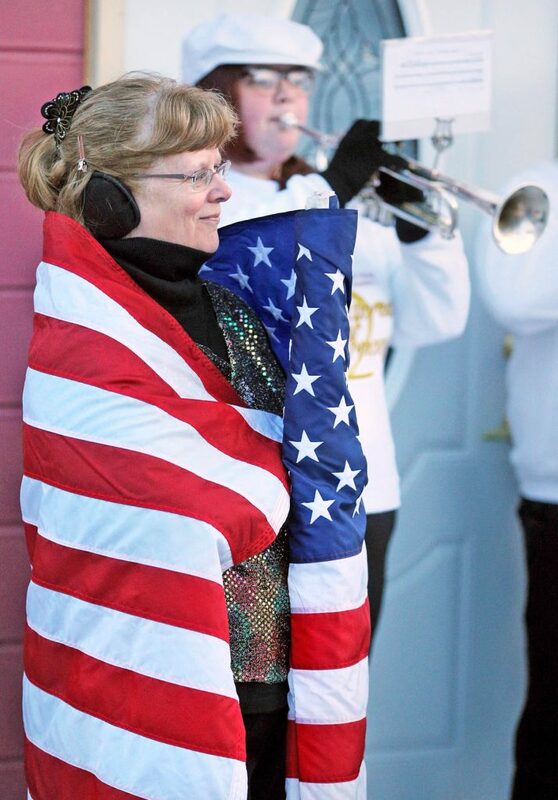 Shelley Blodgett, a member of the Harvest of Harmony Alumni Band wraps herself in an American flag to help keep warm on a brisk morning during the 2018 Harvest of Harmony Parade. 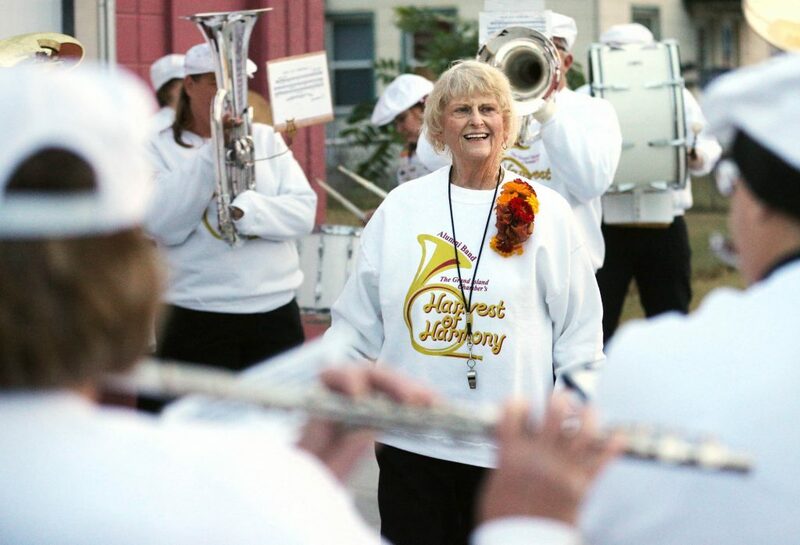 Judi Nelson smiles while listening to the Harvest of Harmony Alumni Band warm up prior to marching in the 2018 Harvest of Harmony Parade. 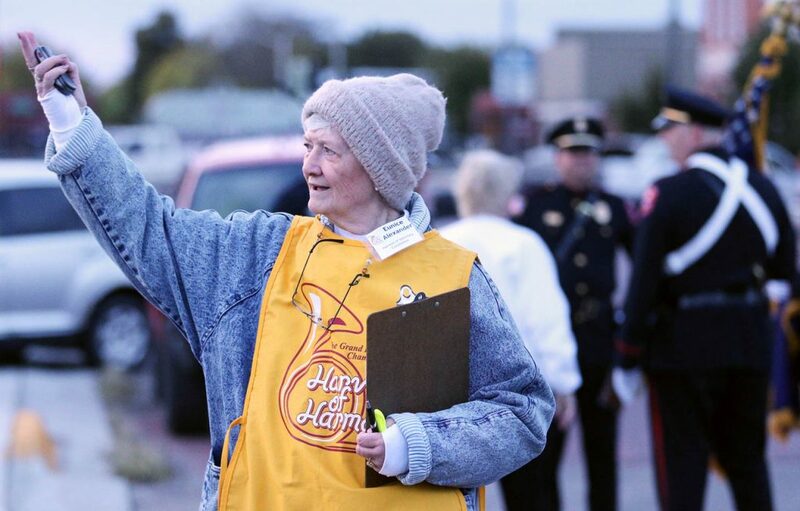 Eunice Alexander with the Harvest of Harmony Committee directs people at a staging area at the intersection of N. Walnut and W. 9th Streets during the 2018 Harvest of Harmony Parade. 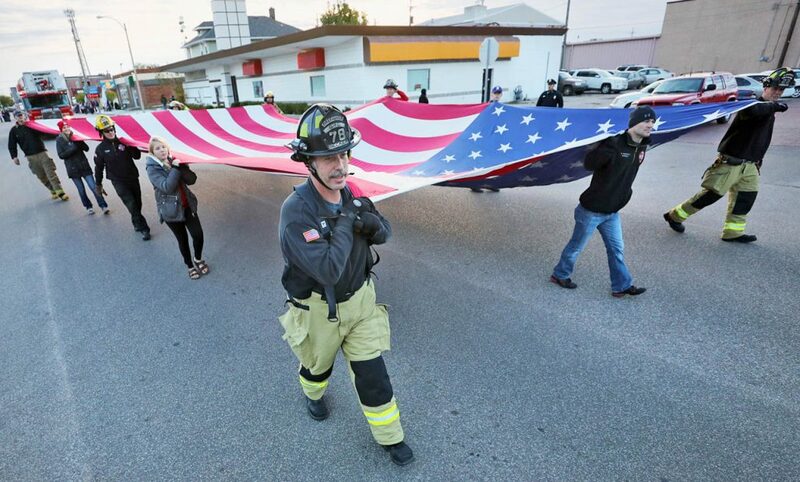 Mike Becker, St. Paul Fire and Rescue chief, center, holds onto a corner of a 30×50 ft. American flag carried along the 2018 Harvest of Harmony Parade route. Miss Nebraska Jessica Schultis waves to spectators while riding in a Ford Mustang convertible during the 2018 Harvest of Harmony Parade. 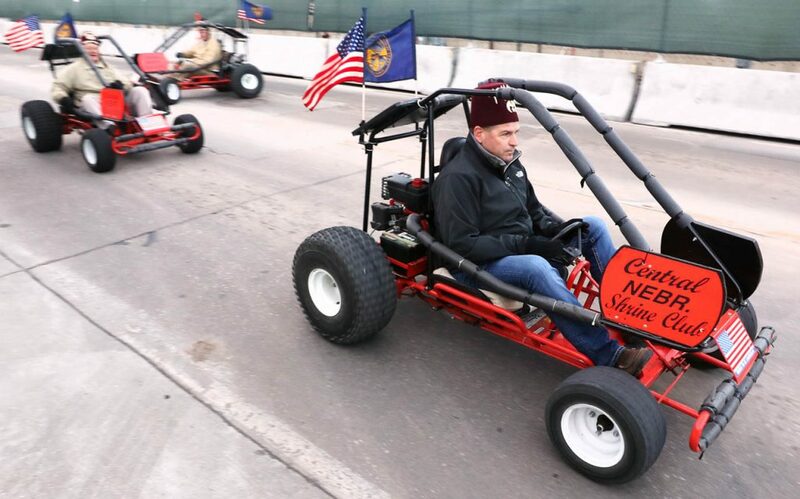 Members of the Central Nebraska Shine Club ride in their go carts along the 2018 Harvest of Harmony Parade route. 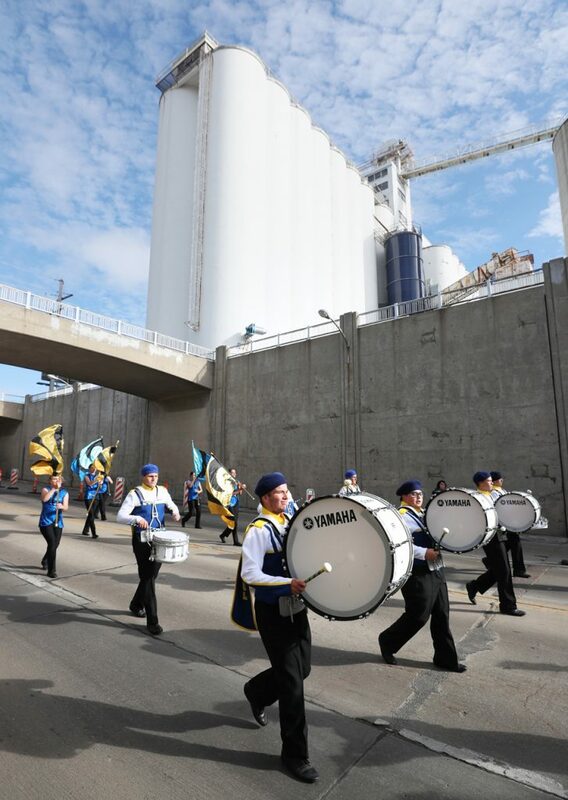 Palmer Tigers Marching Band members march by a construction zone while going under the Eddy Street overpass during the 2018 Harvest of Harmony Parade route. 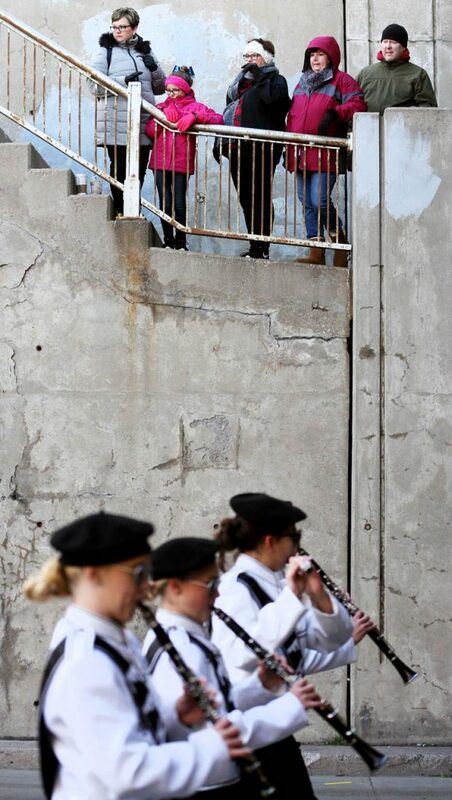 A family watches bands perform along the Eddy St. underpass walkway during the 2018 Harvest of Harmony Parade. 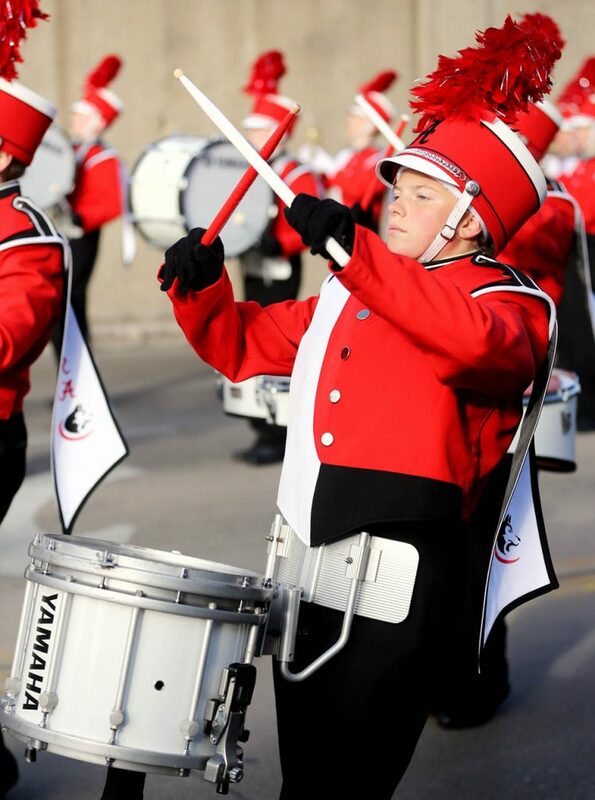 A drummer in the Aurora High School Marching Band brings his drumsticks together in the shape of an X during the 2018 Harvest of Harmony Parade. 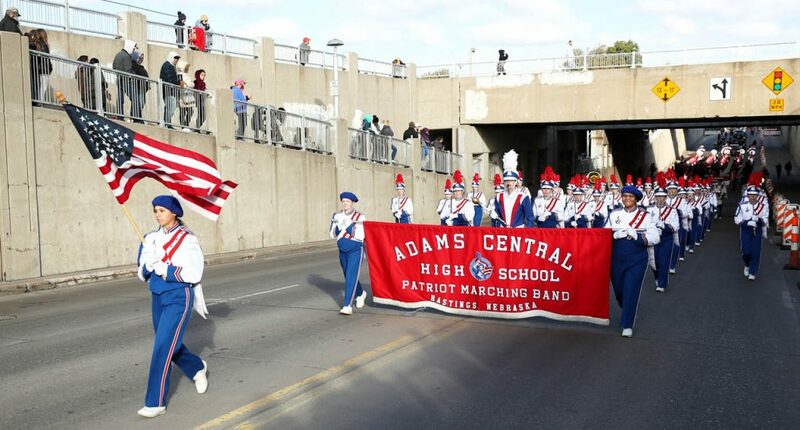 The Adams Central High School Patriot Marching Band participates in the 2018 Harvest of Harmony Parade. 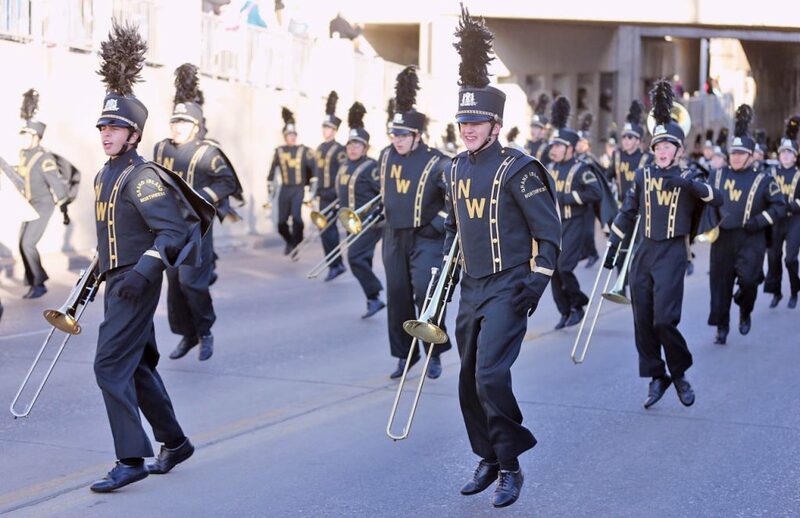 Northwest High School Marching Band members jump in the air while participating in the 2018 Harvest of Harmony Parade. 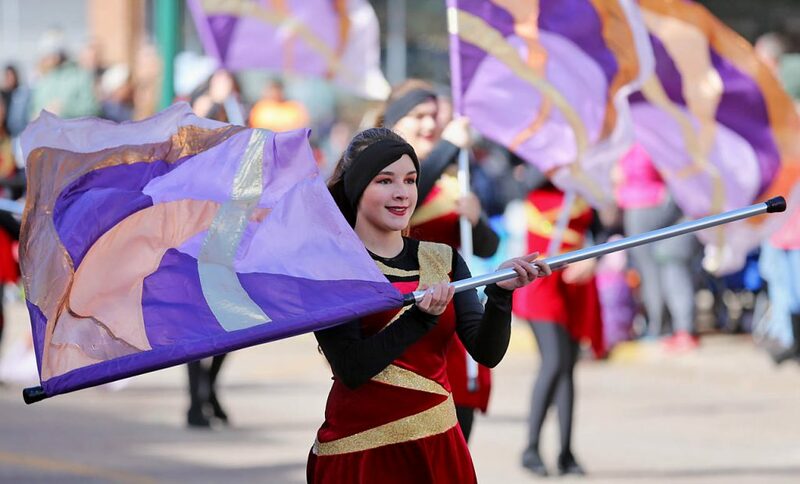 Kearney High School Marching Band flag girls perform during the 2018 Harvest of Harmony Parade. 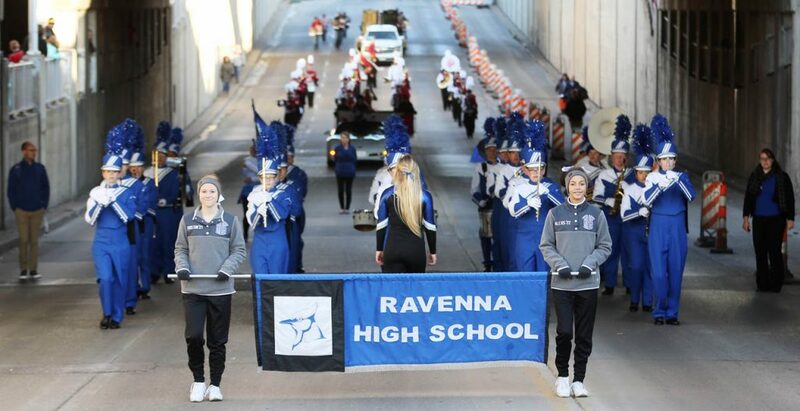 The Ravenna High School Marching Band participates in the 2018 Harvest of Harmony Parade. 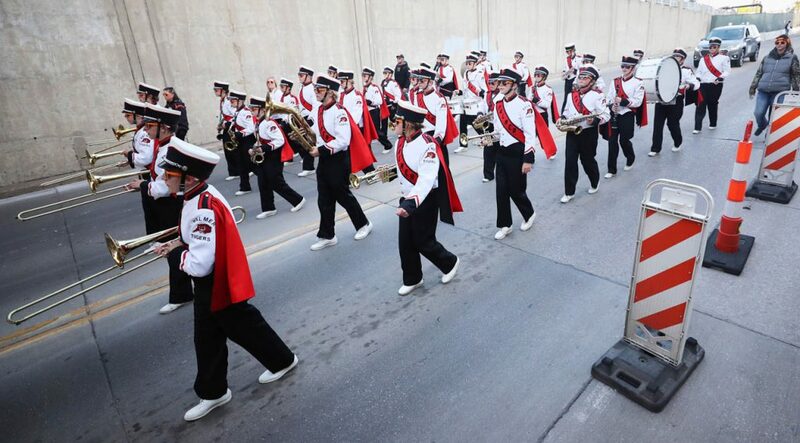 The Broken Bow High School Marching Band participates in the 2018 Harvest of Harmony Parade. 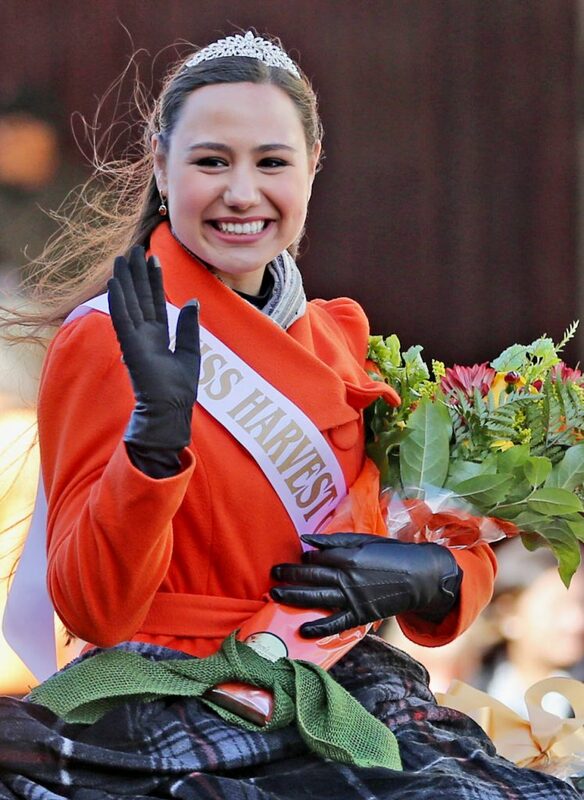 Miss Grand Island Harvest of Harmony senior Leavitt Reno waves to spectators while riding in a convertible during the 2018 Harvest of Harmony Parade. 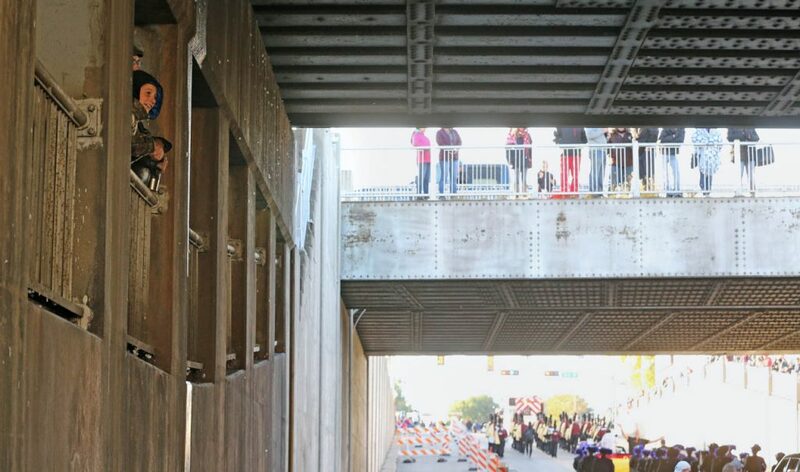 A young boy watches marching bands pass during the 2018 Harvest of Harmony Parade under the Eddy Street overpass. The St. Paul High School Marching Band participates in the 2018 Harvest of Harmony Parade. 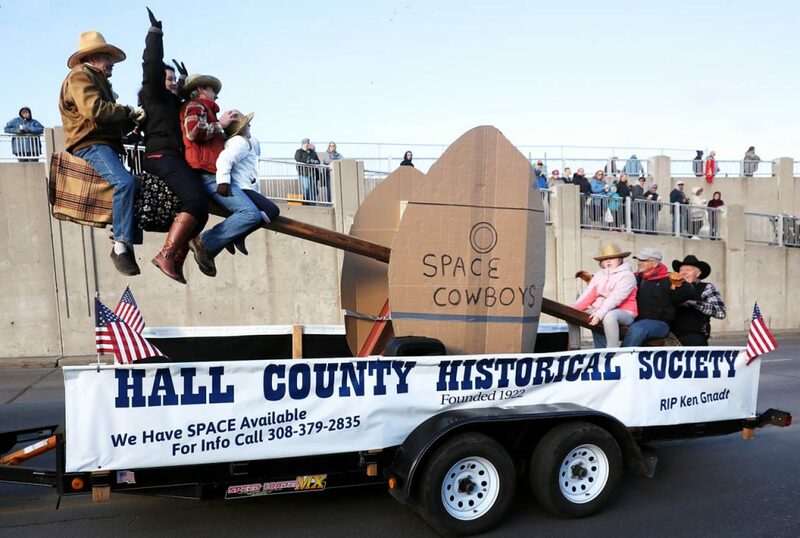 Hall County Historical Society members sit on a teeter totter float during the 2018 Harvest of Harmony Parade. 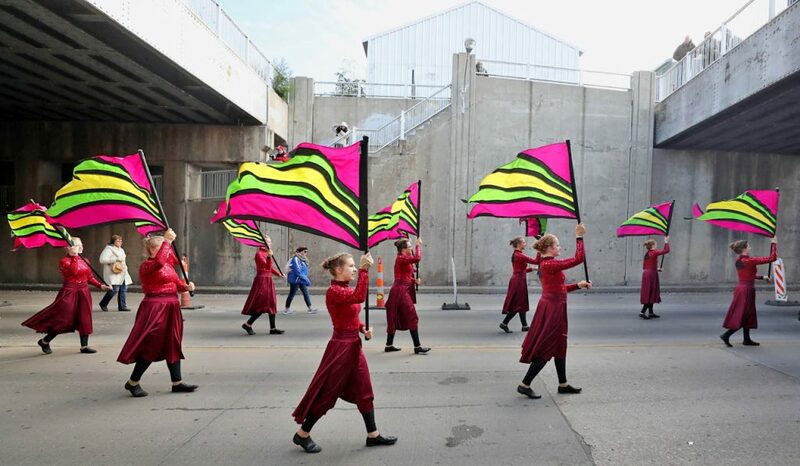 Flag girls pass under the Eddy Street overpass during the 2018 Harvest of Harmony Parade. Santa Claus hands candy to parade goers under the Eddy Street overpass during the 2018 Harvest of Harmony Parade. 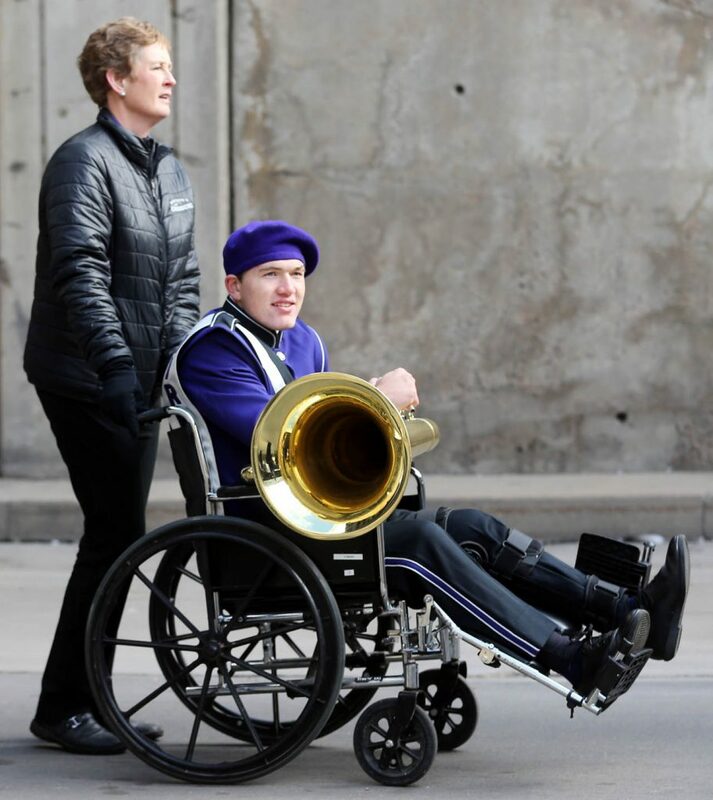 A Burwell High School Marching Band member is pushed in a wheelchair during the 2018 Harvest of Harmony Parade. A drum major holds a baton during the 2018 Harvest of Harmony Parade. 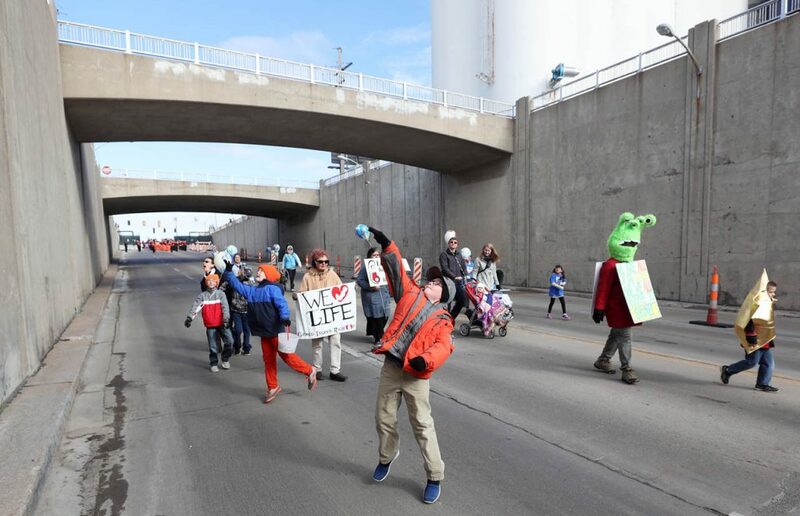 Youngsters from the South Central Nebraska Right to Life group try to throw candy up to spectators during the 2018 Harvest of Harmony Parade. 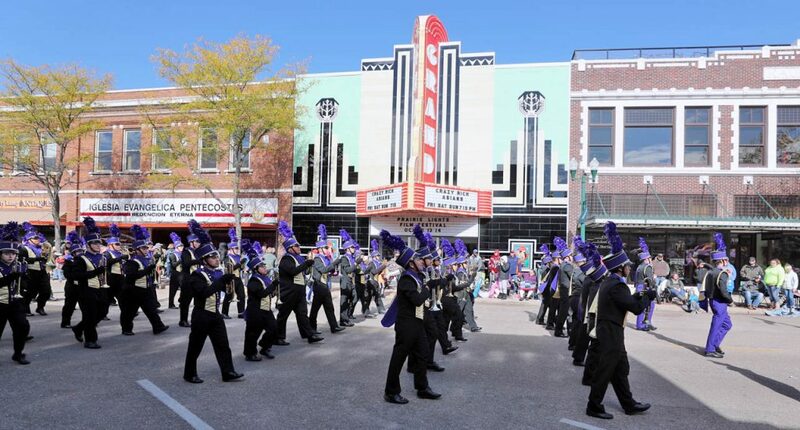 The Grand Island Senior High School Marching Band marches by the Grand Theatre in downtown Grand Island during the Harvest of Harmony Parade. This entry was posted on October 9, 2018. It was filed under Uncategorized.